Being more productive is on everyone’s mind to start the new year off right. Many resolutions are to be more efficient at work and to get more things done in less time. Usually, the task that you are not looking forward to completing will probably be the last thing you do. Taking care of the easy tasks first will give you a sense of accomplishment, checking things off your list throughout the day. However, following Mark Twain’s advice, if you take care of the most difficult task first, then the rest of the day will be like a walk in the park. Especially since most of us are more productive in the morning than in the afternoon, getting the most difficult tasks out of the way first will set you up for a better day ahead. To help you to accomplish the most difficult tasks as quickly and efficiently as possible, create a weekly schedule of what you have to get done throughout the week. 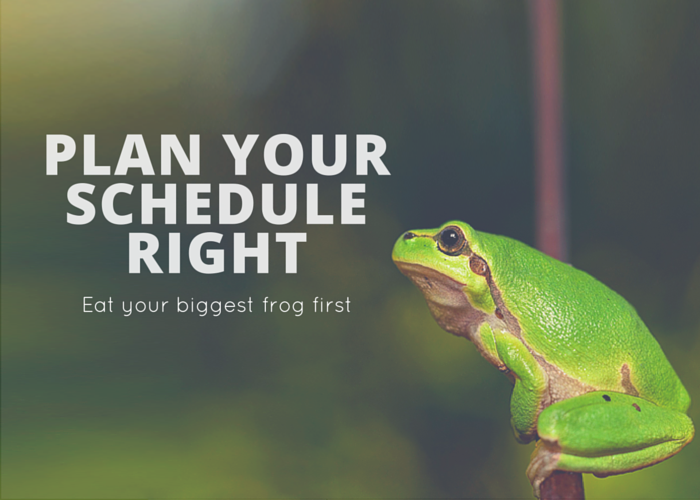 Planning a week long schedule will give you an idea of how many difficult tasks you have to get done throughout a workday and how much time you can spend on each one. 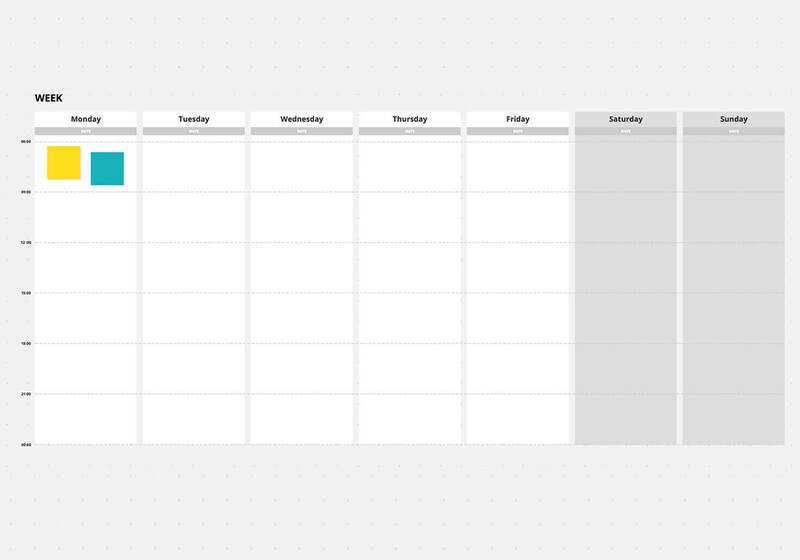 You can create this schedule for yourself in your own boards first, or create one in a shared board with your team, so everyone understands the tasks that need to be accomplished during the week. 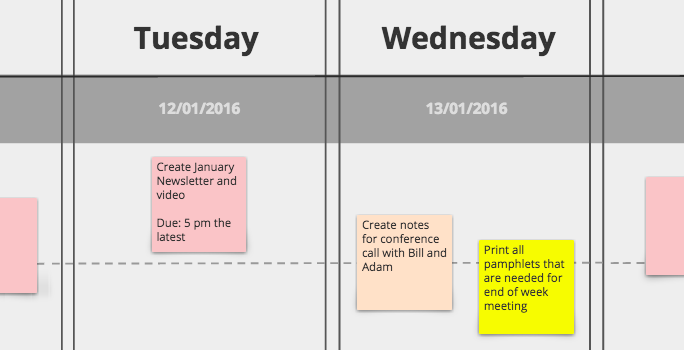 Each team member can contribute to the schedule so no tasks are forgotten. For each task that needs to be done, create a sticky note with a short description of what it is and when it needs to be done by. Color code each sticky note as needed, marking the most difficult and important ones in red, the less difficult ones in orange, and the easy ones in green. This will help you identify all the frogs in your long list of tasks. Click and place all red sticky notes in their respectful places, making sure to place them in the morning hours. You can then place the remaining easier tasks, making sure to give yourself enough time to complete the red ones. Not only is it important to get the most difficult task out of the way first, it’s also important to get it done as soon as possible. Taking too much time thinking about getting the difficult task done will only delay your progress of accomplishing this task. With these tips in mind, follow through with your resolution to be more productive and create your next weekly schedule! Having a good idea of what is coming up, planning the most difficult tasks first, and giving yourself enough time to accomplish everything that needs to be done will increase your productivity.